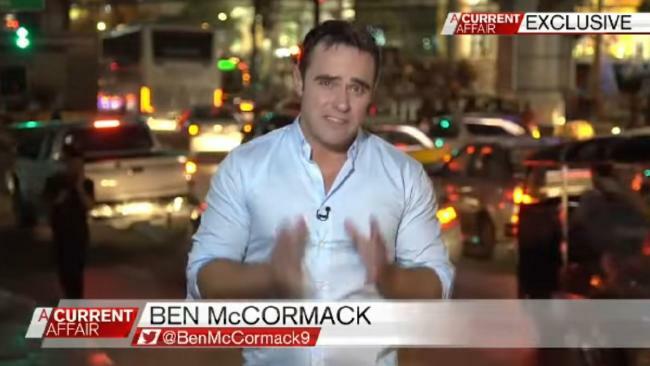 FORMER A Current Affair journalist Caroline Marcus has accused Channel 9 of shielding disgraced reporter Ben McCormack from staff complaints. McCormack was convicted last week for having sexually explicit conversations about children on secret chatrooms and ordered to pay a $1000 fine and go on a three-year good behaviour bond. 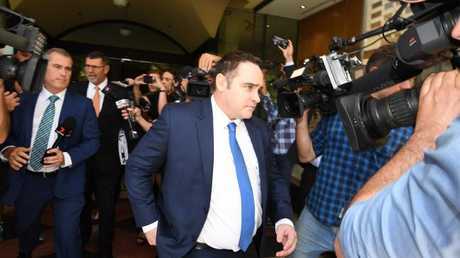 Good behaviour bond.... Ben McCormack leaves court last week. Ms Marcus - who now works at Sky News and previously worked on the Daily and Sunday Telegraphs - said she had made complaints about McCormack's behaviour, which were ignored by ACA management. Nine denied the allegations, saying Ms Marcus had an "axe to grind against Ben". Former ACA journalist Caroline Marcus accused Channel 9 of shielding disgraced reporter Ben McCormack from staff complaints. Ms Marcus told Peta Credlin on Sky last night that McCormack received a warning after she made a complaint about workplace behaviour in an unrelated matter. "But I was quite troubled when I worked there about how open and brazen he was in talking about his attraction to young boys," she said. "The thing that saddens me and angers me is that there still seems to be some sort of protection. There are colleagues that during the court case, during the proceedings, that would be taking him out to bars ... they had been quite public in their support." A Nine spokeswoman said management had "no prior knowledge of the claims being made in relation to the charges against Ben McCormack".